BillardGL is an OpenGL pool billiard simulation. 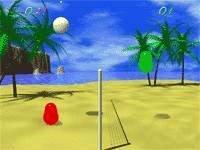 Blobby Volley is one of the most popular freeware games. This is caused first by the simple play principle and second by the funny design of the player. The short duration of a game is a reason for playing this game in meantime. Play a full 3D western mini golf experience in the free game Dynamite Dust Mini Golf. There are 18 holes to enjoy as well as the ability to play with up to 4 friends or computer players. Physics powered by Newton Game Dynamics. An OpenGL Billard Game based on foobillard 3.0a with patches, new features (hud, jumpshots, correct detection of lost balls, more sound and graphics etc). Optimized for touch. New designed mouse / touch-control. 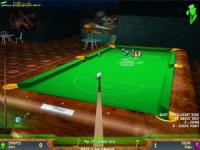 Amazing 3D billiards game is here. Many tables and game setups. 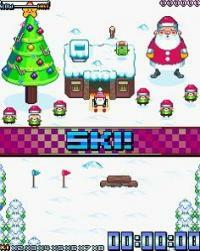 Charming graphics and sound. If you love billiards you got to have this one in your collection! A physics game where you get to swing, flip, and perform tricks as a gymnast! Playing the game requires a joystick with twin analog sticks, as well as Microsofts .NET 2.0 Framework. The analog sticks are used to separately control the arms and legs of your character. Take part in 10 courses to test your mini golfing skills! Stay below par whilst collecting the gold coins to gain a high score.Controls:Power - Up and Down Arrow KeysAngle - Left and Right Arrow KeysSpace - Take shot. As the name implies, Volo Airsport is a skydiving game, put on your wingsuit and maneuver while falling down from the skies around a procedurally generated landscape. World Golf Tour (WGT) is a free online golf game featuring famous courses recreated using HD photos and high-technology. WGT is the leading game in virtual golf and players may compete in tournaments for prizes.